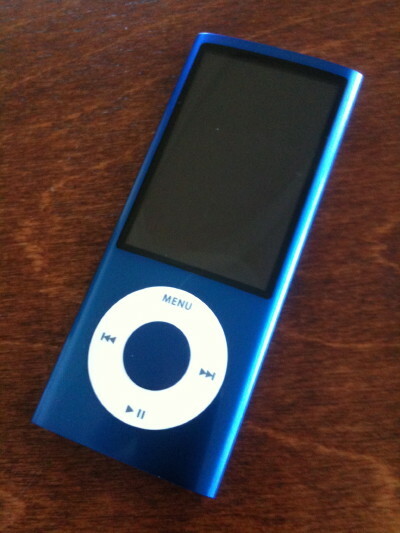 I mainly plan to use this to play podcasts in my car, replacing my venerable – but nearing the end – 80 Gb “classic” iPod. I’m a big fan of the nano – even though I have a previous-generation nano, I’ve been tempted to get the new one by the bigger screen and camera. I use mine primarily for podcasts and music in the car and it’s just about perfect for it – perfect for listening to while I do chores too. The only thing I miss with it, compared to my first-generation nano, is the lanyard headphone. Those things were freaking genius and I wore out two pair with my first-gen. Unfortunately they were discontinued with the release of the 4th generation. On the plus side though, I find the in-ear headphones quite nice, especially since they can do both playback and volume control. Even if you don’t like the in-ear headphones I’d suggest looking into either headphones with the little clicky thingy on the cord or an adapter with it, it’s really handy.